I love Cannon Beach. I usually stay at the Stephanie Inn when I visit. It’s always a peaceful, fun experience. I hope to someday own a house there and be a full-time resident. Visit Cannon Beach every September for 10 days to 2 weeks staying at the RV Park with our 5th wheel. Long winters here in Wyoming make us look forward to our yearly visits and just sitting on the beach. 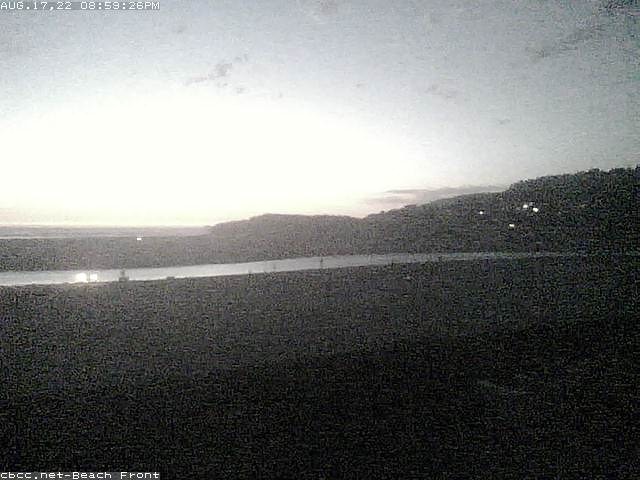 Look at the web cams and just wish we could hear the ocean. We love Cannon Beach, Plan on moving there after we retire. This place is the definition of relaxation. For the last three years, friends have invited us to go with them to CANNON BEACH. Previously, those have all been winter visits. This time (in two days) it will be a summer visit and the prospects for good weather are excellent. We can’t wait!! We always go to a play at the Coaster Theater. We never fail to enjoy it. There are many talented people in Cannon Beach and the surrounding area. I was brought to Cannon Beach when I was 18 years old I am 47 and have been coming here every year since and I come here no less than 5 times a year so I can be recharged and when I am sad I give my tears to the ocean. I live in Coeur d’ Alene Idaho which is 8 hours to the Beach…. I love it so much here that I travel sometimes to just stay the day and drive home… I Believe GOD put Cannon Beach and Haystack Rock there just for ME…. I am so at peace and close to GOD when I visit, it is a time for peace, love and comfort….. I have carried the tradition to my 6 children and 7 grandchildren they love it just as much as I do. When I pass away, my family will spread my ashes there and I will be set free to be with GOD there…. GOD BLESS to All who love this place….. Thank you for the Webcam….. it is a good way to feel like I am there…..
Just used to camera from halfway across the state to take screenshots of my family walking on the beach.!!!! This is amazing thanks for letting me go virtually with them keep this up !!! Just came back from a week and it was pure bliss. As a child I regularly went with my family. My husband and I have bee going for years with our daughters. What is it about this place! I can really recharge in Cannon Beach. The most breathtakingly beautiful scenery. I never grow tired of it. I dream of retiring there someday. Thanks for the opportunity to get a glimpse of haystack rock when we are not there! Our room photos were very close to this webcam as my balcony photos look similar from the Tolovana! I love this place, i want to go back right now. I started a site for anyone that loves it as much as I to share photos and places to go. Best beach on Oregon coast. Last year went to Olympic National Forest; all along the WA coast, pretty, have been 101 all through CA, Redwoods beautiful, but in all that traveling, there was no place as gorgeous as Cannon Beach! Summer vacations; BBQ, playing in the ocean. Travel there, shopping; food and people amazing. Thank you for this web cam…..As a young girl my parents would ask where we would like to go for a family vacation usually a week at the end of July or first part of August. My siblings and I would say the ocean – being from Washington State we would visit the Washington coast or Oregon coast for that week. I fell in love with Cannon Beach all those years ago and I can say my husband and I after 15 years being together, we are taking our very first vacation as husband and wife…we will finally be visiting this beautiful place in THREE days!! YEAH! Cannon Beach is my serenity place!!! I went there on my Honeymoon 15 years ago. We have taken our kids there twice and can’t wait to get back. Praying to be able to retire there. Thanks so much for the webcam!!! It brightens my day when I can get a glimpse of paradise!!! When I am in town over the past 20 years, I ride my bike on Cannon Beach every morning down to Hug Point. Different every day. I love that beach it does something good to my soul. Just saw that at least three members of my family have already submitted comments on this site, so if four is not too many. . .
And we are so very blessed ! OH YEAH – What a view ! ! ! This is for Leila, Maple Ridge, CB for summer 2015. This RV park is VERY CLOSE to downtown Cannon Beach and walking distance to shopping & restaurants. Enjoy! Gorgeous! We have never been there but are hoping to find an RV park very close to the beach in 2015 as we don’t bring a car with us. “I come to the sea to breathe..” I’ve been coming to this special place since I was a young girl with my grandmother. This ocean makes me believe in the beauty of God. Check the webcams every day, thank you. Such a beautiful, peaceful, safe and memorable place. The beach is truly impressive with incredible vistas. We will be coming more often very soon, once we are both retired. I check these cams daily. My daughters spent a week every summer here when they were growing up. We love this place. Last time i was there was 1987 and i sure do miss it! thank you for the webcam. Miss the the beach, miss the summer. I’ll be back! Our daughter and son-in-law work at the conference center. Every comment here is absolutely true. Peace, rest, rejuvenation. It is truly a blessing to visit here. looking forward to next summer…we really enjoyed this area. Our daughter goes to school here and we really like this town……visits will be forth coming ! Not too many places I’d leave Texas a second time for, but I want to retire in Cannon Beach more than anything in the world. It is truly my paradise. Thank you for this webcam, for it keeps my eyes on the prize. That’s not the other chair? We have been coming to CBCC several times a year for over 25 years. We really miss coming this year, but love looking at the webcam daily and praying for the conferences. Wish we were there! Sonia and I really enjoyed Cannon Beach…the scenery, fresh ocean air, shopping, fellowship and teaching…terrific! Thanks for the Webcam…. There is just something truly unique about Cannon Beach. The “whole” greater area of Cannon Beach…from Indian Beach, Ecola State Park, Cannon Beach, Tolovana and the “South Beach” area, Arcadia Beach State Park, Hug Point State Park, Oswald West State Park, down to…and including really…Manzanita and Nehalem…and all the little “turn outs, and viewpoints” on 101…this is a special place. It is sacred, it is spiritual, it is calming, peaceful and serene, it is refreshing and re-vitalizing…being here just makes you feel good! I will be coming back to visit there in three weeks. Can’t wait! Love to walk to the Rock. Love the beach, the wildlife, the waves… it’s one of my fave places! I love to walk to the Rock! Can’t get enough of its beauty, the wildlife, the sand and the waves. Love, love, love Cannon Beach, Oregon. Love Cannon Beach so much! There’s that great fish market and all the little shops and we try to get there once every year or two because we love watching the sunsets at the end of the street!! Such a great place to be. Yeah the chair is back! I love Cannon Beach video cam because I can see how much fun other people have there. Totally awesome! I first visited Cannon Beach at the age of 3 after my parents adopted four of my siblings from the Philippines. Cannon Beach and the conference center have left an indelible impression in my life. From my time as a young boy on the conference grounds to the life changing experience at Ecola Bible School, I look forward with great excitement each time to visiting this special place. I grew up in Cannon Beach and we lived in a beach front home right in front of Haystack Rock & The Needles!!! It will always be my home no matter where I live!!! Going to the 50th Annual Sandcastle Contest this year!!! June 21st, 2014!!! The contest started in the Village of Cannon Beach for the local kids in 1964! It has since grown every year with Master builders and sometimes Cannon Beach gets bombarded with over 30,000 people!!! This year I made my own un-official Sandcastle shirt and plan to wear it there! I designed and painted it. My logo is on the back. By the way my Logo is Wendy Originals with Haystack Rock and The Needles inspired! Love this Webcam! Thank you for the special “peek” at my “home”! ~Wendy, Newport, OR. Soon to be Springfield, OR. I am so thankful for your site & live webcams. I get homesick for the North Coast. I often keep a tab with this view open on my computer at work, and I have a jar of Cannon Beach sand on my desk, to remind me of life way out west. Thank you. Thanks for your concerns about one of our beachfront chairs. Its just being repaired from weather damage and will be returned soon! Yea, what Robb said…where is the other chair? Where is the other chair? Thanks for keeping up the website. My family has spent many summer vacations at Cannon Beach & it is nice to see the beach & the various weather conditions on a daily basis. Back soon. This is one of my favorite places. First visit at age of 5 with my family on an Oregon Coast trip from BC Canada. Who knew…30 years later I would find myself living in the Portland area (via southern california) and be able to take a day trip to this fabulous beach any weekend I wanted to. I also enjoy bringing bus loads of residents from the assisted living community I work at to visit Cannon Beach each summer! I spoke at a women’s retreat at CBCC in January, 2014, and absolutely enjoyed my time there. I had checked this webcam every day for almost a month leading up to my visit to Cannon Beach, anticipating the beauty. But then God blessed us with an amazingly glorious weekend, and it was so much more beautiful than I had imagined! I was awestruck! And God was good to give us a wonderful women’s retreat as well. Such a special time!! I will be visiting Cannon Beach the last weekend of February I have Big plans. My husband and I will be on our first out of town road trip in over 15 years I cannot tell you just how excited I am. We will be in that exact place tomorrow afternoon. Can’t wait. Cannon Beach and Mt. Rainier…my two re-energizing places in the Northwest. I can “smell” the surf now. I love the webcam because I can go to Cannon Beach anytime and do a “flyover” like the seagulls, take a loving look at Haystack, watch kites flying, storms raging, or the sun setting. Seeing people walking the beach gives me that brief moment where I am there too, enjoying the breezes and sound of the gulls. A moment of peace! And a good place to go when you are in California and missing the Oregon Coast and the conference grounds! Love checking the webcam each day. Always something interesting to see! Been to Cannon Beach twice. Loved the ocean view every time. I hope to make it my permanent home in a few years. I love seeing ‘my’ Oregon Coast. I miss it so. Loved all my visits at Cannon Beach Conference Center. I have a commemorative glass mug from 1995. Heather presented it one to anyone sharing the same birth year as the Center. It is sitting on my desk holding pens and pencils and I look at it every day. I love this webcam… my grandparents brought me and my sister to Cannon beach Christian conference centre every year from the time I was 7 until I was 15. I am 42 now… and I look forward to visiting with my children every year. Through the years, the hope that this place represents for me has been indescribable The possibility of this beach full of debris from Japans terrible tsunami has brought a deep sadness to me. This place was heaven to me growing up…. for one week out of every year I would escape to this loving, safe, fun place and for the rest of the year I would be tormented with an unloving home and all the insecurities that brings. I can’t imagine life without this place as beautiful today as it was decades ago. I pray daily for God to keep this place safe. Can it be that Cannon Beach exists even when I’m not there? We go every year for a week. We never tire of it, and can think of few other places that approach it in terms of beauty, interest and satisfaction. I open my door and hear the distant freeway traffic. It sounds a lot like surf. In my heart I am there today, shivering on the sand, glad to be alive. I love the webcam. Our condo is just across the creek. Thanks! Thank you so so much. This webcam gives us a touch of cannon beach when we can’t be there. We have been visiting Cannon Beach for over 35 years and this is very just like the view from our room. Thanks again. Just looking at this webcam everyday makes me excited for our 4th of July trip to Cannon Beach. Can’t wait to see everything in person! Love Cannon Beach. I really enjoy the Haystack Rock….all the creatures that are around it. Plus the variety of birds that live on the rock. My husband and I (and the kids if they can manage it) go to the Oregon Coast every year. I grew up in Hillsboro OR. and seeing this webcam makes me home sick for the oregon coast. I now live in Newton West Virginia. I sure am thinking of packing everything up and heading home where my heart is! I find myself returning to this webcam page quite often when I need reminding of God’s beauty and majesty. I am very excited to return each year and to walk with my Lord along the sands. We’ve coming over to Cannon Beach for years, and have seen it all the year round. Just a short walk down Jefferson, and we are there, in fact, in my mind, I’m there right now. We love it. 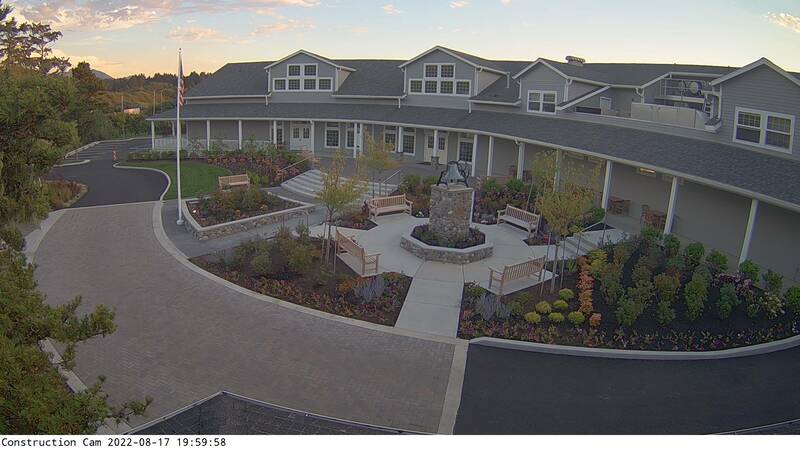 Being able to see the live webcam makes me feel closer to our dear daughter who is in her second year there. We are so blessed by Ecola Bible School’s love and care for our girls while we serve here in Africa. Our deepest gratitude. I clicked on the webcam, saw a sliver of sunshine and had my AHA moment. Cannon Beach has been a favorite spot for my husband and I for many years. I enjoy walks on the beach and always feel refreshed and recharged while visiting. We look forward to our next visit in Jan.
It’s still there! Amazing! I can’t wait to get on the beach this summer, but it’s nice to know it’s not just a figment of my imagination. My wife and I are about to launch our dream retirement life in Cannon Beach. We bought one of the condos across the creek and we will move-in in the Summer of 2014. We look at this webcam every day and remind ourselves that we are very blessed. Our dream is finally coming true – living permanently in beautiful Cannon Beach! Love this web cam – have checked it often in the past few years (when we are away from the beach) to watch the lovely ocean. We will be able to look out our windows now to see what the weather is like, and to hear the ocean roar. Cannon Beach – we are coming home!!! How I would love to be sitting there watching and listening live to my favorite oceanfront view! My dream is to someday have a house on the beach and enjoy this view every day! Can’t wait to go visit this weekend for the conference put on by Shane and Phyllis W.! This is our 3rd time back for this particular conference and we really enjoy the people, scenery and of course the beautiful facility. What a great God Space! Thank you! Why go anywhere else? We have camped in Cannon Beach for the past eight years with our kids. We now rent a house a block away from the beach. It is truly the most beautiful beach on earth. My son and I get up early to walk on the beach as the sun rises. Afterwards, we visit the bakery downtown for a hot chocolate and a doughnut. Memories to last a lifetime! My beloved grandparents “retired” to Cannon Beach from Portland in the early 1950s. They and my dad, their second son, built their home on Van Burien Street, from their own plans, which included a small office next to the front room so that Grandpa, a Chiropractic physician, could still treat a few patients. Grandpa passed away at the age of 83 and Grandma, who played the church organ at the Presbyterian church, continued to live in their home until her late 80′s. She sold the home and returned to live in the Portland area to be near her sons, grandchildren and great grandchildren. Grandma lived to be 101 and one half years of age, out living both of her sons. So-o-o-o, this web camera is the link we, her grand children, great grand children and great, great grandchildren, both biological and “adopted” have to revisit our beloved beach, our beloved Haystack and the wonderful town we all love so dearly! The entire, extended Sargent family will always love “our” Cannon Beach! I am soooo grateful for the webcam. I enjoyed Cannon Beach and at least I can look at the webcam to get somewhat of a fix since I am back home now.